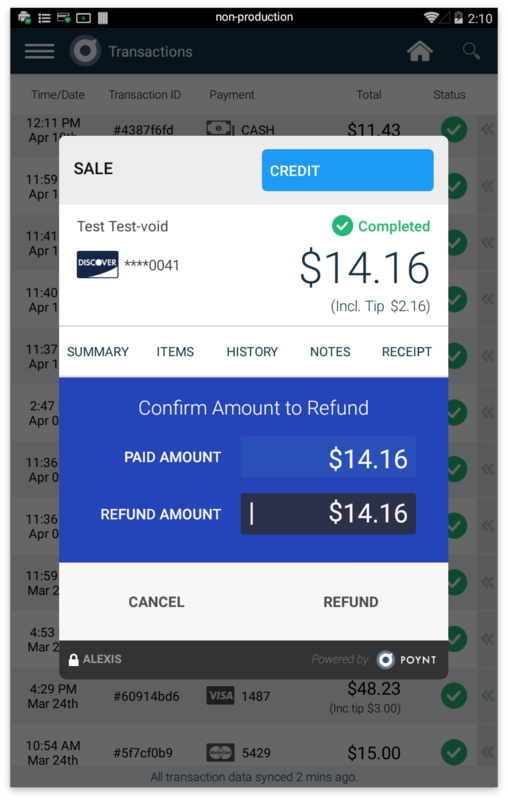 Merchants may refund a captured payment through the Transactions app. Step 1: To refund a payment, go to your Home Screen and select "Transactions". 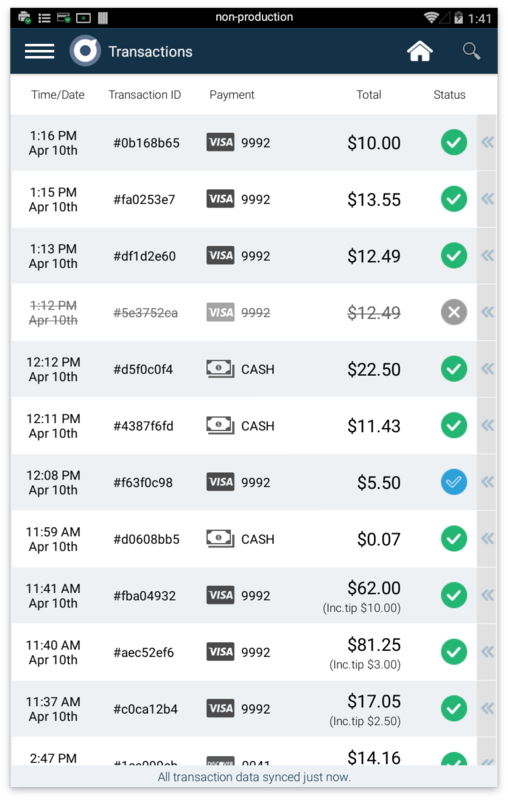 You may also navigate to the Transactions app within the Terminal by selecting the left 3 bar menu in the top left corner and selecting "Transactions". Step 2: Select the transaction you'd like to refund. This will open the transaction information. Step 3: If the payment has been captured and settled, the word "Refund" will be displayed. Select Refund. 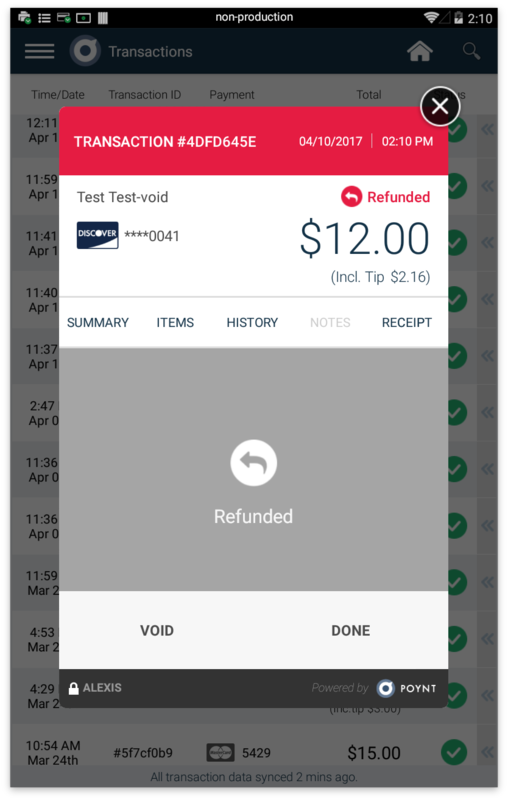 Step 4: When the Refund transaction is completed, you will see the transaction record as “Refunded” in Transaction List, and the pop-up details for that transaction record will also show “Refunded”. If the payment has not been captured and settled, the payment may be voided instead. Note: If processing a refund to a debit card, the debit card must be present in order for the refund to go through. Otherwise the refund will be declined.